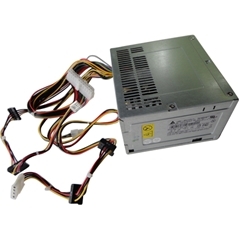 Description: New genuine Acer computer 250 watt power supply. This may be the part that you need if your computer will not start. Compatible Part #'s: PY.25008.035, PY.2500B.002, PY.25008.027, PY.25008.027, PY.25009.014, DSP-250AB-22, E131881. Acer Aspire A3641, M1200, M1201, M1202, M1400, M1420, M1470, M1620, M1640, M1641, M1800, M1830, M1831, M1860, M1900, M1920, M1930, M1935, M3400, M3710, M3800, M5100, M5200, M5620, M5640, M5641, T180, T671. eMachines ET1161, ET1331, ET1331G, ET1358, ET1641, ET1810, ET1831, ET1852, ET1862, ET1870. Acer Veriton M275, M261, M410, M460, M460G, M480, M480G, M2610, M2610G, M2611, M2611G, M4610, M4610G.